The Halyard Control Cover Gowns are non-sterile, come with elastic cuffs and are made with a protective 3-layer fabric. Exposure anticipated: potential for light fluid contact and contact isolation. 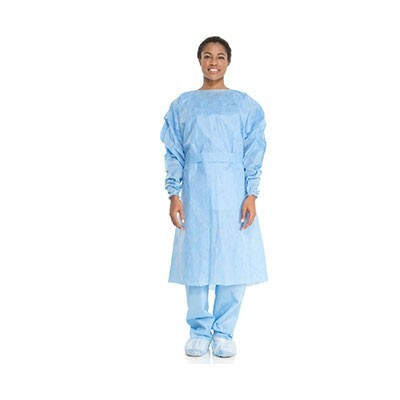 Halyard’s Isolation Gown portfolio provides protection based on AAMI guidelines, the most widely accepted system of classification, determined by liquid barrier performance, for protective apparel and surgical drapes. Three levels of protection allow you to select the right gown for the procedure at the right price. For more information on Halyard’s Control Cover Gowns, please visit www.halyardhealth.com.